Experience the adventure of Jordan’s trip to Queensland for AV2018 with his reflection below. Jordan’s trip was supported by the Lord Baden-Powell Society. In 2018 I participated in the Australian Venture in Brisbane. My attendance at the Venture was aided by the generous support of the Lord Baden-Powell Society which reduced the cost for me and my family to pay for this adventure. For my AV2018 experience, I chose to go on the “Get Metro” expedition and to go to the “Get Chafed” and “Get Elevated” off-site activities. My journey began with an early wake-up for our flight to Brisbane. On arrival, the SA Contingent split us into groups to explore Brisbane’s South Bank area which resulted in a quick Macca’s run before we departed for the Old Petrie Town. On arrival to the Town, we separated into our expeditions and explored the old town. We then re-gathered together for the Opening Ceremony for the Expedition Stage of the Venture. Then, through the sudden rain, we departed with our Expeditions to where we would be staying. My Expedition went to the Piccadilly Scout Group to set-up Base for the rest of the Expedition Stage. 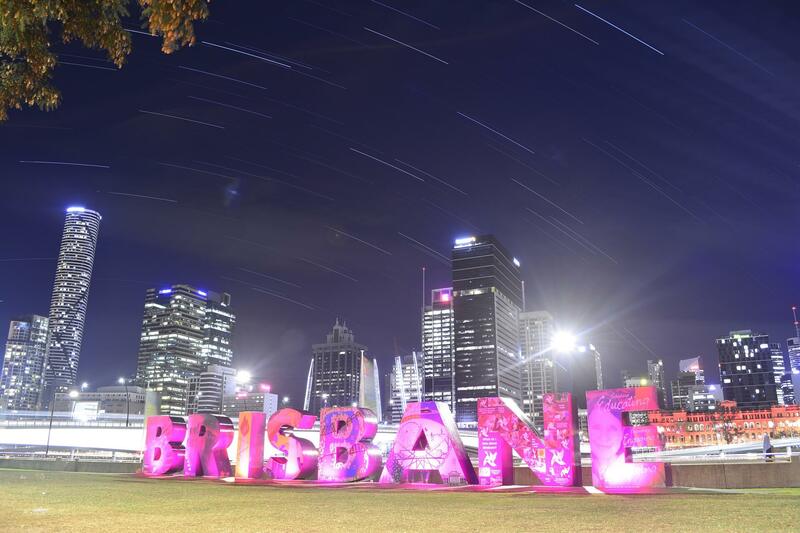 For the first half of the Venture, I went on a tour of Brisbane for four days. Over the four days of expedition, our Group was able to visit the museum, go to the maritime museum, climbed mountains (Honeyeater Track), visited the Brisbane CBD, abseiled down the Kangaroo Point cliffs, had a go at mini golf, completed the Story Bridge climb, went to Eat Street, visited the biggest Koala Sanctuary in the world, and toured the Boggo Road Gaol. All the transportation was made by the Brisbane’s metro system where we travelled by buses, trains, ferries and additionally one quick trip to the laundry with an Uber. Our Expedition stayed at the Piccadilly Scout Hall for the entire time of the Expedition Stage. The ‘Get Metro’ activity began with a day visit to ‘South Bank’ in Brisbane. It began with visiting the Queensland Museum where we saw its many exhibits including Astronomical Photography, a variety of fossils, a collection of taxidermied animals and a Gladiator display which we were lucky enough to have access to. We then travelled by foot to the Queensland Maritime Museum where we explored a variety of ships and structures related to maritime industry, including full access to a HMAS Diamantina Ship which we were able to tour throughout. For the second day of the Expedition, we began our journey by climbing Mount Coot-Tha via the Honeyeater Track. Whilst it was a tough journey for us, it was all worth it when we arrived at the mountain’s lookout which showed a complete view of Brisbane on the horizon. We had lunch and continued on to the Brisbane CBD, straight through to the city centre. We separated into Groups and had free time to do what we wanted. My Group of friends and I went off to the nearby Botanical Gardens where we got up and close with a variety of wild animals as well as admiring all the different plants within the gardens. We continued back into the CBD where we re-grouped for a quick game of bowling before we headed off to the Kangaroo Point Cliffs. A ferry trip made our journey quick, and soon after our arrival we were taught how to abseil and were given the option to do so. Not wanting to miss out on anything, I gave it a go and completed it all the way to the bottom despite being quite challenging. It was worth the incredible descent rewarded by a spectacular view of the Brisbane River. Soon after, we ascended back up the cliffs with the aid of stairs this time to have our dinner. We then all headed back to our Homebase for a well deserved night’s rest. The following day we took a bus ride to the Story Bridge where we wore jumpsuits and took a tour of the bridge by ascending one side of it, and then walking around on the top of the bridge. We were taken down to the middle of the bridge where we looped back up to the top again for our group photos. The whole Tour was guided with an additional audio guide provided to us individually in the form of iPods which taught us the history of the bridge. After completing the climb we went to Victoria Park Golf Complex where we had a round of the mini golf course that was on offer for us. We followed this up by taking a ferry over to Eat Street where we just barely avoided going into a food coma with all the delicious food on offer and danced the night away until we had to make our way back to base camp. For our last final day of ‘Get Metro’, we set out to the world’s biggest Koala Sanctuary called the Lone Pine Koala Sanctuary. Besides all the koalas, the highlight of the Sanctuary was the ‘Birds of Prey’ show that was put on. After the show, the organisers offered us the opportunity to hold the birds that were on show and I was able to hold a Sea Eagle which was unbelievable as I didn’t think I would have had that opportunity. Soon afterwards, the decisions were up to us to make our way back to base for our next activity with enough time to do what else we wanted. The Group and I went straight back to Base but we also spent our time at the local Piccadilly Shopping Centre. After everything was taken care of, back at Base we set off to the Boggo Road Gaol where we took a ‘Ghost Tour’ of Brisbane’s most haunted Gaol. We got spooked by the Tour Guides with the many stories about the Gaol’s history of disturbing occurrences, after which we headed back for our final night of our expedition. The next day we transitioned from our Expedition into the Second Stage of the Venture which was to make our way to the Camp Warrawee by bus (non-metro) and set up Camp in our given area. After taking in our beautiful new surroundings, we watched the Opening Ceremony at the main Stage and partied into the night. 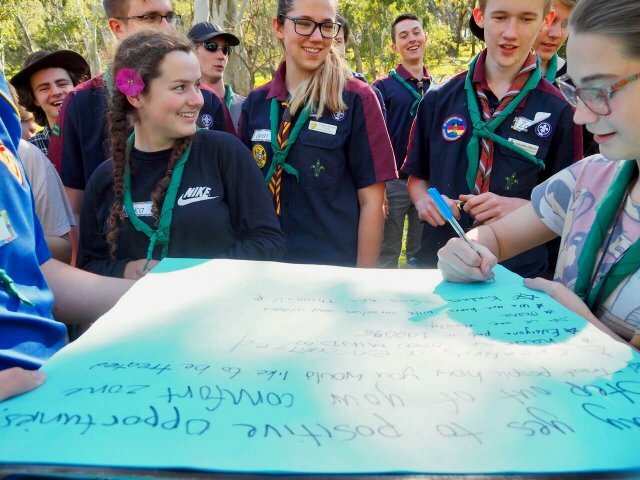 The second half of the Venture was back at Camp Warrawee with the choice of activities being two off-site activities and as many onsite activities as one could manage. The two off-site activities I chose were “Get Chafed”, a tour of Moreton Island and the second, “Get Elevated”, which is a successful mountain climb of Mount Beerwah with an additional relaxing swim afterwards. On the first day I was based on-site, allowing me to get used to the new Camp Site. Most of the day I spent exploring the area including visiting the contingent shops, various activities and ‘chill-out’ space. I gave ‘Bubble Soccer’ a go and managed to score a few goals. Besides this, I spent most of the day relaxing in the Chill-Out Area to get over the amount of stuff that I done on the Expedition Stage! That night I participated in the Glow Rave which was a very unique experience for me as I’m not usually into things like that, but it was fun to party with my fellow “Get Metro” friends. The next day was an early start with a bus ride and ferry ride to Moreton Island. We took a 4WD trip across the Island until it could go no further, where we walked along the beach to the next pick up point as another 4WD took us to the little sandhills. After arriving we were taught how to Sand-Board down the sand dunes which turned out to be way more exhilarating to do than I first thought. After this we headed back out in the 4WD’s to our original ferry drop-off point. We had lunch and we were then taught how to snorkel. After getting our snorkelling gear fitted and put on, we swam out to the local ship wrecks which were home to hundreds of fish. The snorkel trip round the wrecks was out of this world with a mid way feeding of the fish to show off just how many there were. At the end of this amazing experience, we packed up our gear and relaxed until the ferry arrived to take us back. Once back at camp, we headed off to the beach party for a little while until it was time for bed. The following day I had another early start with a long drive up to the Glass Hill Mountains, more specifically Mount Beerwah. My original thought on arrival was that we would simply take a tough climb up to the top of the mountain. But soon after arriving, I realised that this was proper Rock Climbing. Definitely not wanting to miss out on doing a ‘proper’ mountain climb, I followed along and ascended the mountain. As we climbed, the view was amazing and the structures we came across were astonishing such as a cliff face that went the whole way up the mountain but went outwards instead of straight up or even back into the mountain. The cliffs had a variety of caves that we got to climb through before the final ascent to the top. Once we finally reached the top, I was taken back by the beautiful 360 degree view of the surrounding Glass Hill Mountains and its greenery. By far, this was the most physically challenging thing I have ever achieved and it was all worth it. After having had lunch at the summit, we descended the mountain and took a bus to the Sunshine Coast to relax before heading back to Camp. Back at Camp, I relaxed until the sun went down whilst the ‘White Night’ party went on. With all the wonderful activities under my belt, I spent the rest of my time relaxing and recuperating and taking in everything I had done. Trying to relax, I toured around the Camp Site and managed an ice cream at ‘Roverscope’. I got to relax all day eventually, without the need to do anything else. All the great food was catered for us by professional chefs, so we all felt free to relax. ‘Aussie Rock’ was our final themed night, but rather then partying again, I spent my time at the contingent stores where I got to meet the only Canadian in attendance, and we even got to trade badges, which I still cherish as one of my favourite badges that I own. The final day of the Venture, began with “Get Metro”, heading off as a Group to the local Old Petrie Town where there was a themed Carnival Day with a variety of activities on offer such as Jumping Castles, Pet Pens, Food and Shops galore. 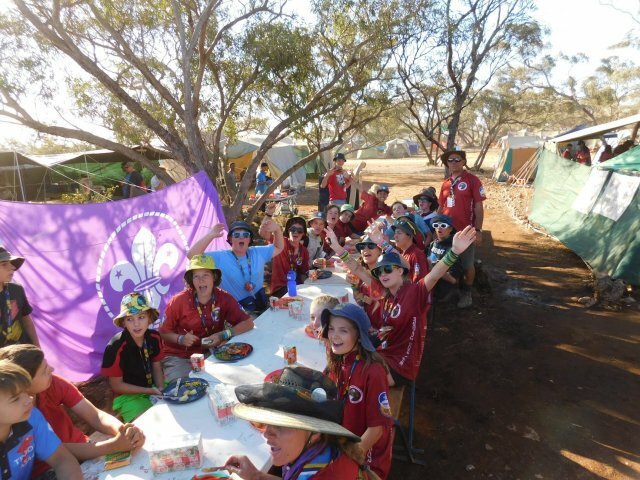 After a fun day out, we set back again towards Camp Warrawee for the closing parade which wrapped up the Australian Venture for 2018. The next day each Contingent departed for home. Additionally to AV2018 that I was gratefully part of, the South Australian Contingent held a Post Tour. 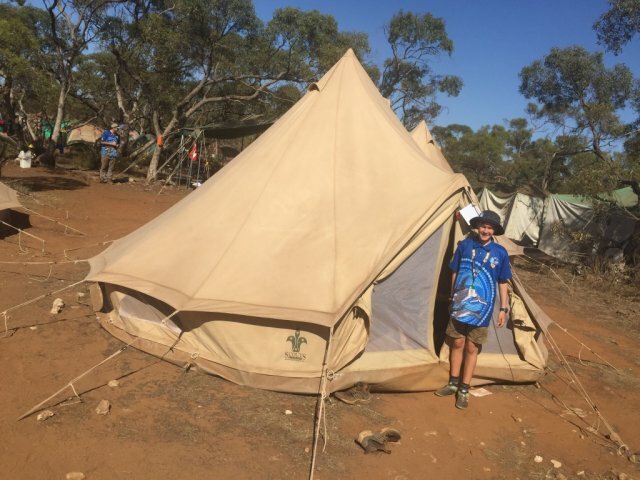 So shortly after departing from Camp Warrawee, we arrived at the Karingal Scout Campsite and set-up for the Post Tour. On our first day, the whole of the South Australian Contingent went together to the ‘Tree Top Challenge’, where we were harnessed and trained on Safety. We then had the freedom to choose what courses we wanted to do. Once in Groups, we went around the course and I got to go on Australia’s longest flying fox which took my breath away as it swept over the forest canopy and over the heads of other challenges. Unfortunately there were too many challenges to complete, so unfortunately no one got to do everything that was available, but I managed to do plenty of other things such as Zip Lines, Rope Swings, lots of crawling (in the air) and heaps of Climbing. After this was over, we took the bus to ‘Aqua Splash’, an inflatable Water Park which allowed us two hours of fun to climb and swim around the inflatable structures on offer. Further exhausting ourselves, we headed back to Camp for a good night’s sleep. We were off to Dreamworld and Whitewater World the following day, where I was finally able to overcome my fear of roller coasters and water slides that required inflatables. I went onto my first, proper roller coaster which turned out to be way more exciting than I thought. I am now less afraid of going on them! Back at Whitewater World, I swam in the wave pool and finally brought up the courage to go on a water slide with an inflatable seat as well as a multi-person slide. It was frightening at times but overall, really fun. Afterwards, I checked out the Lego Store, Brock’s Garage and the tigers that were on display. When we finished, we headed back to camp for the night. The final day for my Venture experience was simply a camp pack-up, followed by a bus trip to the airport where we flew back home to Adelaide. This was the greatest experience I have had in my entire life so far. I would recommend it to anyone who is just willing to try and take part, and without the financial support from the Lord Baden-Powell Society, I would have not been able to afford it. Thanks to the financial help, I was able to enjoy and benefit from this life-changing experience that has made me a better person and even given me friends for life. I will never forget the memories I have made and the people I have met on this extraordinary adventure. Thank you.